Use this Waist Bag to carry and protect your EpiPen®, Anapen®, Emerade® or Jext® auto-injectors. There is lots of room in this carrier to also carry Antihistamine, Asthma Inhalers, Insulin or anything else you need. Insulated EpiPen Bum Bag – Carry and protect your EpiPen®, Anapen®, Emerade® or Jext® auto-injectors. These waist packs also have lots of room to carry Antihistamine, Asthma Inhalers, Insulin or anything else you need. 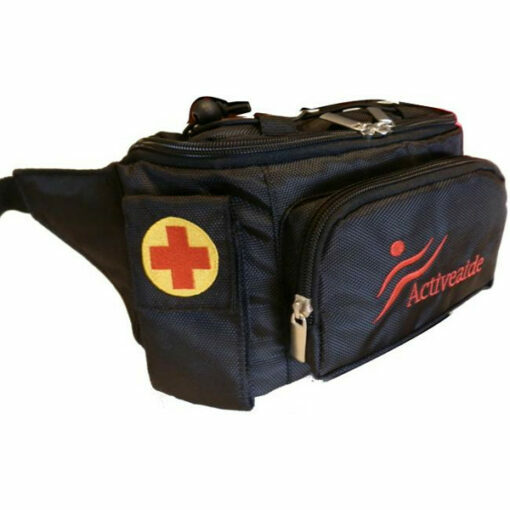 This versatile medical waist bag worn anywhere in order to easily carry medications in an easy to reach place. The advanced foil lined interior gives your medications protection from temperature changes. The waist bag also has many extra pockets for storing extra essentials such as bandages, sunscreen, etc. A velcro side pocket, a mesh side pocket, zipped front and rear pockets, and tie down straps on top. Made from a rugged, durable material that will last. Adjustable strap so bag can be worn by adult or child. I use this bag with small cool pack everyday to transport my Anapen, very good product ! Very quick international delivery, many thanks to the Team ! Swift delivery, item as described. Very happy with product’s insulating features. Excellent number of compartments. Four not five stars due to slightly too large waistband and some loose stitching. 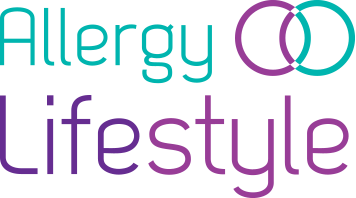 Overall, however, very satisfied; thank you Allergy Lifestyle!